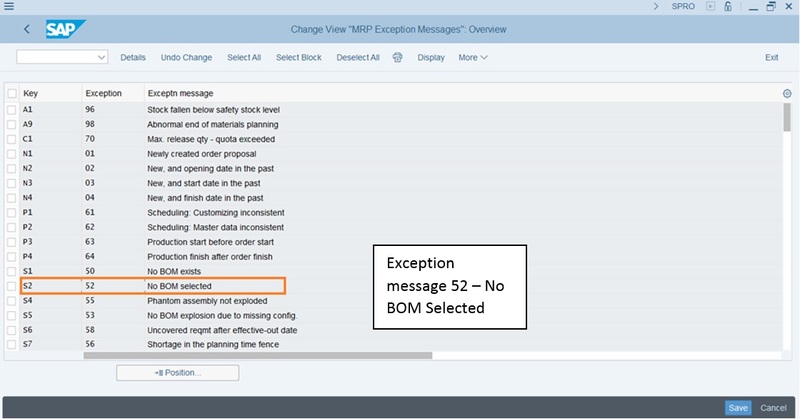 In this blog we will be discussing some of the important MRP exception messages in SAP. Many of the exception messages are self-explanatory, so we will be going through some of the crucial ones in this write-up. Our first exception message will be 52 – No BOM Selected. Other exception messages will be added to this blog on a later date. 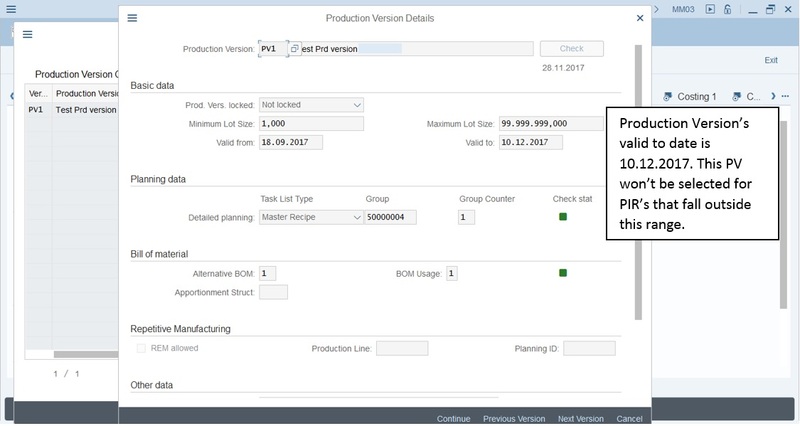 We have made production Version’s ‘valid to’ date to 10.12.2017. This Production Version won’t be selected for PIR’s that fall outside of this range. I have entered 5 PIR’s in MD61. Two PIR’s are on on 11th and 13th. Now we will execute MRP through MD02. After the MRP execution, we go to the Stock requirement list. As you can see Planned orders on 11th and 13th have an exception message of (52). Also the Production version was not selected for both of them. Same result can be seen in the MRP list through MD05. 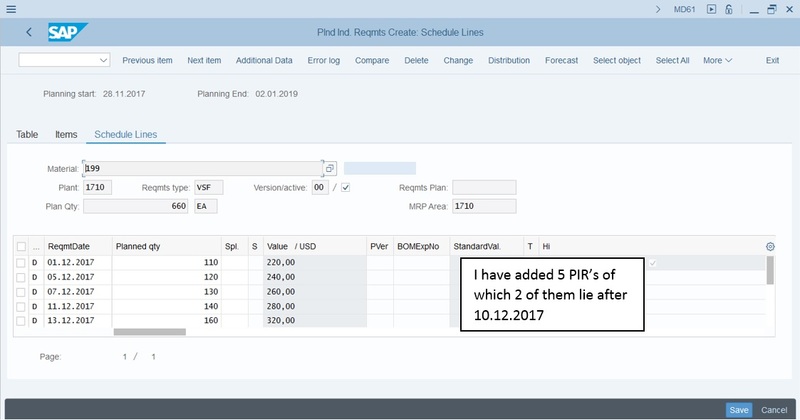 I hope this blog will establish a good understanding of many of the MRP exception messages in SAP. As the time goes by I will add more exception messages with detailed examples. If you have any queries please feel free to ask.